DispoVan & Unolok insulin syringes are manufactured on totally automated printing, assembly and packaging lines as per the requirements of the most stringent quality standards. 31G x 5/16″, ‘Super-fine’ 30Gx5/16″ ‘Xtra-fine’ 29Gx1/2″ needles are siliconised to give minimal pain. Presence of low dead space avoids wastage of medication and ensures accurate dosage. For people who take very small doses (such as children) twice, accuracy of dosage is there in 0.5 ml. 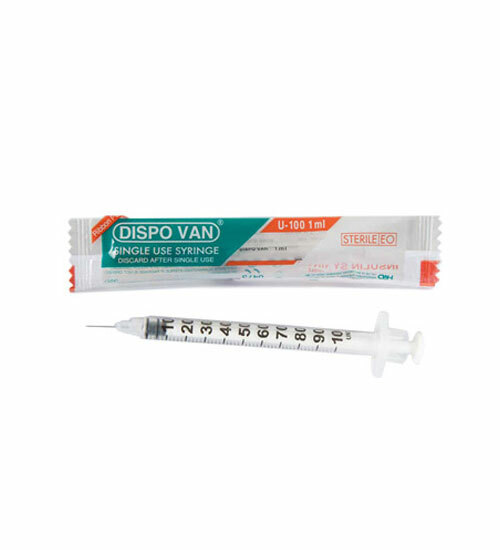 Dispovan & Unolok insulin syringes, due to scale increments of 1 unit as compared to 2 units in 1 ml U 100 syringe. Barrels are made of nontoxic, clear medical-grade polypropylene compatible with any medication. Plungers, NEEDLE COVERS and BOTTOM CAPS (Multipack) are made of nontoxic, medical-grade polypropylene compatible with any medication. NEEDLE is integrated with the barrel. PRINTING: Graduation scale is available with U-40 and U-100 versions. 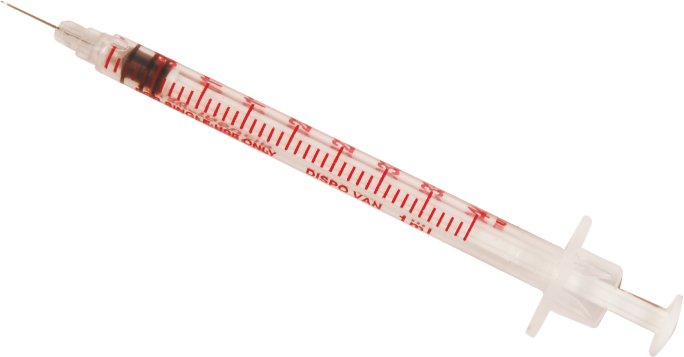 Insulin syringes are unit packed in a double-laminated plastic film. 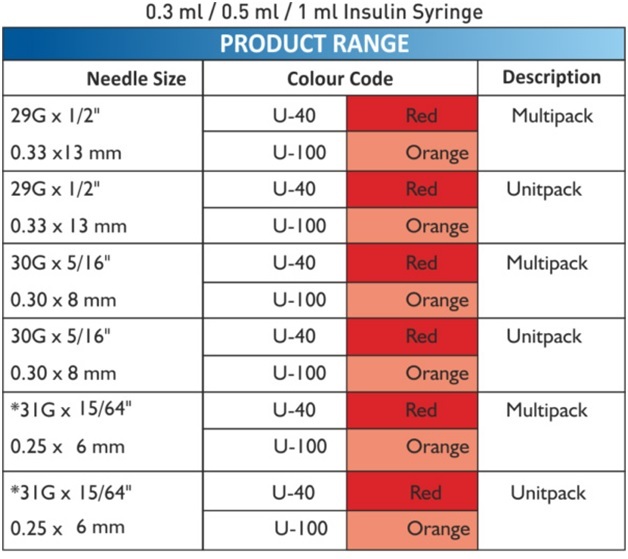 Insulin syringes are also available in an economy multipack of 10 units in a double-laminated plastic film. 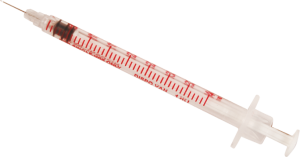 Before use, check the integrity of tamper-evident, heat-stacked sealing of end-caps with barrel. Before change of Brand/Needle size consult your doctor on usage. Do not share syringes to avoid cross contamination. Do no attempt to re-sterilise or reuse. 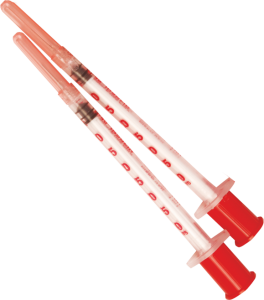 Also available 1ml disposable insulin syringe with detachable 26G / 27G needle, unit pack and multipack, U-40 and U-100 sizes.